NASA tested part of the rocket that will likely take humans to Mars at the Stennis Space Center in Mississippi on March 23. The engines will power the agency&apos;s new Space Launch System (SLS) rocket on future deep space missions. 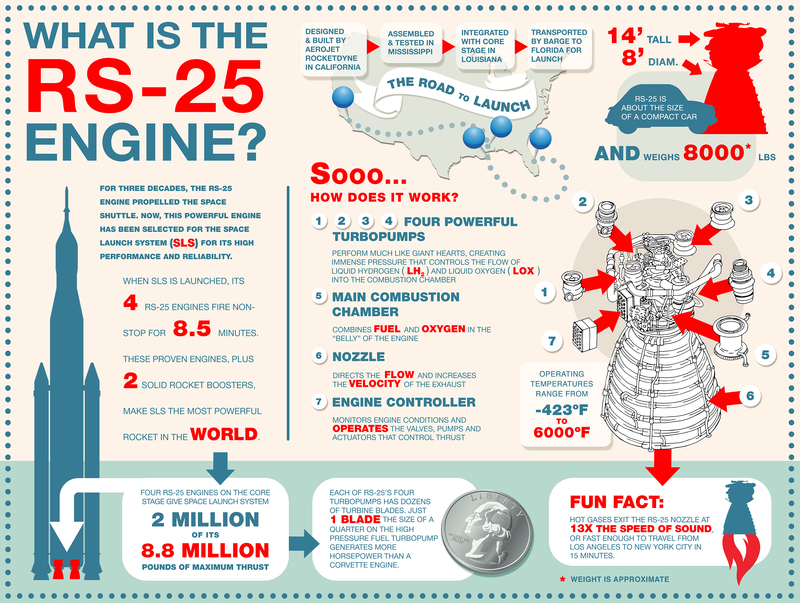 This is the second RS-25 engine test for 2017 and the space agency has more planned. The engines will be part of the most powerful rocket in the world, according to NASA. Gary Benton, the product development manager for Stennis Space Center is in charge of testing of the rocket engines. "Those engines generate about 520,000 pounds of thrust each," Benton said, before the test fire of the engine. Benton says the SLS needs to be powerful because of the weight of the payload and the distance it will travel. He added it would take around one year to travel to Mars aboard the spacecraft, which NASA hopes to reach in the 2030&apos;s.
The engines got their start during the space shuttle program. NASA found a way to reuse the engines by upgrading them for use during deep space missions. Aerojet Rocketdyne developed the engine. Jim Paulsen, the vice president of NASA programs at Aerojet Rocketdyne, says a new controller for the engine was used during the test on March 23. "NASA put a lot of effort into developing that engine and as the shuttle program came to an end we had legacy assets because they were reusable engines," Paulsen said. "We basically had 16 assets that could be used on a future program and the decision was made to use them on the SLS vehicle on the core [stage] of that vehicle." Paulsen says the engines are more powerful and run even more efficient than their space shuttle-era counterparts. The engines also run "clean." During the test a large cloud was created from the exhaust of the engine. According to NASA, the cloud is nothing but water vapor since the engines burn liquid hydrogen and oxygen. NASA plans on testing four RS-25 engines at once sometime in 2018 before a planned test launch of the SLS rocket in the same year. The space agency is currently studying whether or not to add a human crew to the first test flight for the SLS.